Networking doesn’t come easily to everyone. I have certainly struggled with some aspects of networking, particularly striking up conversations with strangers and even colleagues I don’t know that well. I find building working relationships with my colleagues much easier but many people don’t realise that’s also networking. 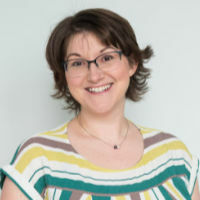 I took part in a panel debate for the APM Women in Project Management annual conference last month to share some professional networking tips. I love panel debates because it’s a chance to be really opinionated! It was standing room only for our session and we had some excellent questions from the facilitator Susie Boyce and the delegates. Here are some of the networking tips and tricks I shared. Why is networking important in your career? Projects are about building participation and getting things done through people. Networking helps me know who to talk to when I need to get things done, both formally and informally. In other words, networking means I build relationships with others so that they can help me do my job and I can help them do theirs. What is the value of actively participating in networking? You get to keep your job. We do knowledge work. We’re paid for the knowledge we have and how we use that to achieve business goals through others. I think we need to move away from the idea that networking is something you do in the evenings and at events and consider it as the reason we have jobs. Project managers connect people together to get work done. Today, business leaders – yes, that’s your boss – expect you to network and have a contacts book, (mainly) within your organization but also outside it. How specifically have you used networking in building your career? Personally, networking has helped me build a reputation as a professional project manager and I hope I am well-thought of at work. Outside of my day-to-day work as a project manager, networking has helped with writing my books. I tapped into my contacts book for people with interesting stories to tell for the case studies. To be honest though, it’s not doing networking that builds your career, it’s what you do with the contacts once they are in your network. 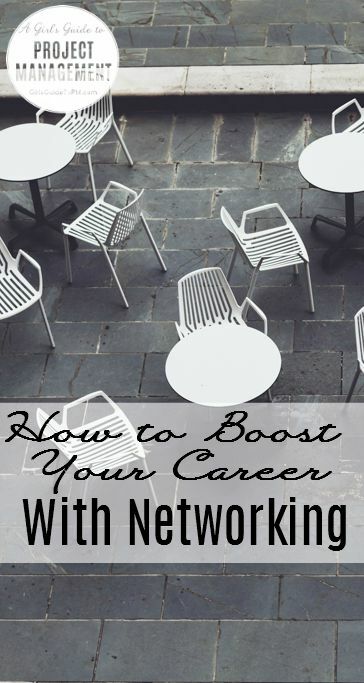 You can spend a lot of time networking and not see any career benefits. You need to help others, make a good impression and follow up every time with your actions. Be credible and be visible. How do you split your networking time between online and offline? I don’t make a distinction. I try to attend a couple of events a year in person (like the APM WiPM event that prompted this article). It’s different now I have children because I don’t live in London any longer. I don’t do evening events. There was a time where I went to an evening talk or networking event a couple of times a month. London is great for that, there is stuff happening all the time, much of it for free. I do a lot of in-person networking with my peers when I’m in the office. Sometimes that grates: I’m the kind of person who would rather skip the small talk and get on with the job, especially as I have a lot of work to cram into my days. But I have learned that the chat is important to keep those relationships going, especially when I work virtually a lot of the time. From a project management perspective, what should people have in mind when building their network? Projects are transitional. The hardest thing is keeping up relationships when projects are over. Close networks dissolve overnight. On one of my early healthcare IT projects I worked with an amazing team and we overcame a lot of technical and business challenges to get software installed in many locations around the country. The project took a couple of years and when it was over the team moved on to other things. It was devastating: in fact one of my colleagues resigned for a new (fantastic) opportunity elsewhere and even today I’m sorry that we have pretty much lost contact. You need to create a core group of people you can stick with through any project – mentors, coaches, PMO colleagues – so that your entire support network doesn’t disappear when your project closes down. Also, you’re often perceived as only as good as your last project, so people’s opinions are slow to change. Also longer term, you could easily be pigeonholed as ‘the girl who ran that intranet project’, when you’ve done bigger and better things since then. You want to be known in your network for the right reasons, and if you feel as if you are being pigeonholed it might be time for a fresh start at another firm. How do you leverage your network to help you succeed in your current role? My approach is far more about building relationships and staying visible amongst the senior managers in my company where I can, and for the right reasons. Generally whenever I have reached out to someone for help or a contribution the answer has been yes. Part of that is about social capital (which is a topic all by itself and perhaps the subject of a future blog post) and having offered help before you need it yourself. What are some practical tips for building and maintaining your network that you can share? Where do you start? First, get a networking notebook. I use an A5 notebook [amazon text=like this one&asin=B008I6SPF0] with A-Z tabs. I record the name and details of my contacts in there. I write them down under their first names, so Anna Smith goes under A not S. There’s no guarantee that I will remember her surname in a few months, so make it easy for yourself. I note down the basics: job title, contact details and also a few remarks about what they look like if I’m not sure I’ll remember (glasses, hair colour, propensity for flowery scarves etc). Then I’ll update the record with anything else interesting that I learn about them and what we discussed at our last conversation if I think that’s going to help. I suppose you could use LinkedIn in a similar way but I prefer an actual notebook. It never leaves my office, by the way. There’s nothing derogatory about anyone in it but I’d rather people thought I had an amazing memory than I’d just looked up the names of their dogs! Second, have a drop-everything network list. These are your priority contacts. You can have a wide network and that’s a good thing, but not everyone is equally important. Know who is important enough for you to want to drop what you are doing and respond to them. They don’t have to be the most senior people in your network: maybe they include your manager and a couple of trusted colleagues whom you know would help you out in the same way. Got any other professional networking tips and tricks? Share them in the comments below! I love your blog, and I was wondering if you knew of others that you follow that are great blogs for PMs as well? I am always looking for new and great content to read–thanks! I like the blogs that are on ProjectManagement.com. There are also some websites here but this list hasn’t been checked for up-to-date-ness recently: https://www.girlsguidetopm.com/resources/. The PM blogs in my Feedly reader are How to Manage a Camel, PM Hut, Stepping into PM, The Practicing IT PM (he does a weekly round up of PM blog posts which is a good way to find new sites), Better Projects, Herding Cats, Derek Huether and Tony Adams. Hope that helps!